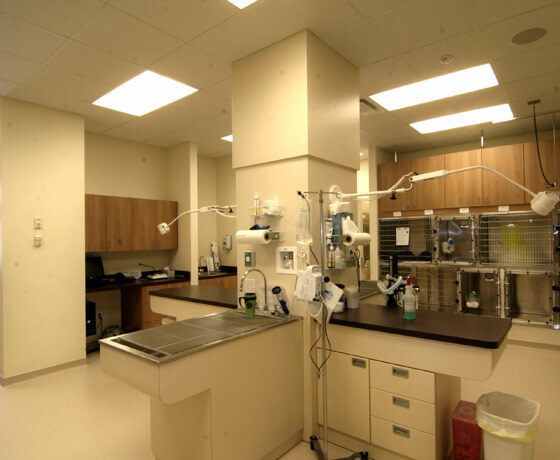 We have 7 exam rooms that are equipped with computers that are capable of showing digital x-rays, digital dental x-rays, client records, and all information needed to care for the pet with the client present. 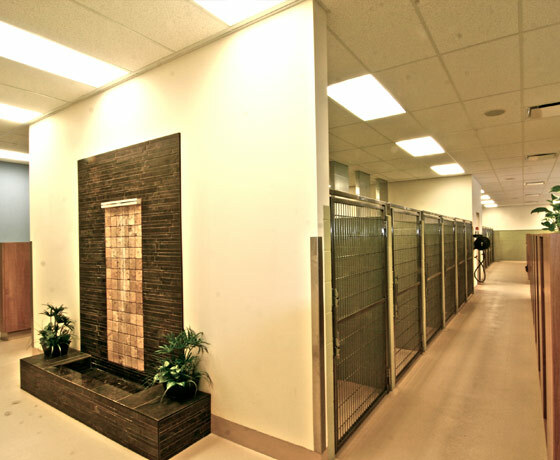 We have 2 mechanical lift tables so that large breed dogs can be examined without ever having to be picked up and we have a central treatment area that allows us to handle any medical, surgical or dental case, or emergency. Bartels Busack Pet Resort is especially equipped to handle guests who have special medical needs or seniors. We can provide the administration of oral or topical medications at an additional cost. Guests who have more extensive medical needs (injections, dental care, wellness blood testing, vaccines, exams, etc.) can easily be accommodated at our full service facility, saving you, the owner, time and money. A written estimate will be given to every owner requesting additional services.